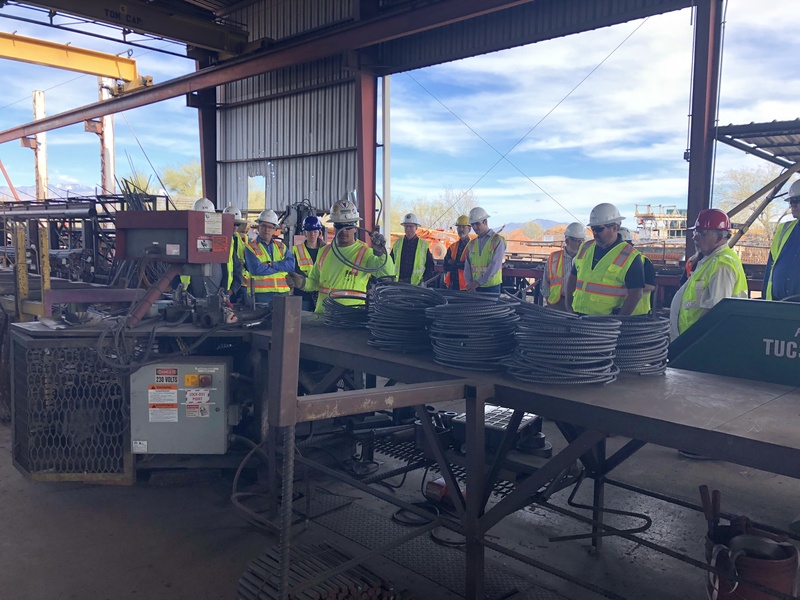 Today MWG joined the Structural Engineers Association of Arizona (SEAoA) Tucson Chapter for the Harris Rebar plant tour. 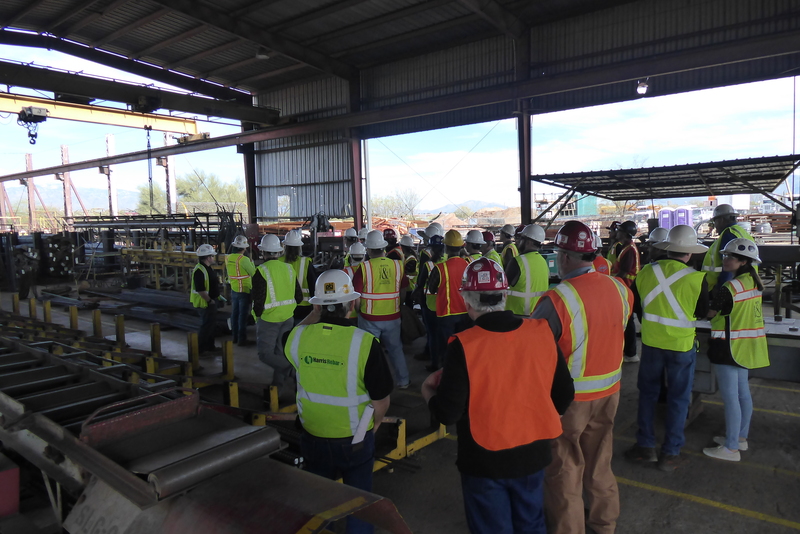 The tour was informative on the process of how the plant bends, cuts and delivers steel reinforcing bars. 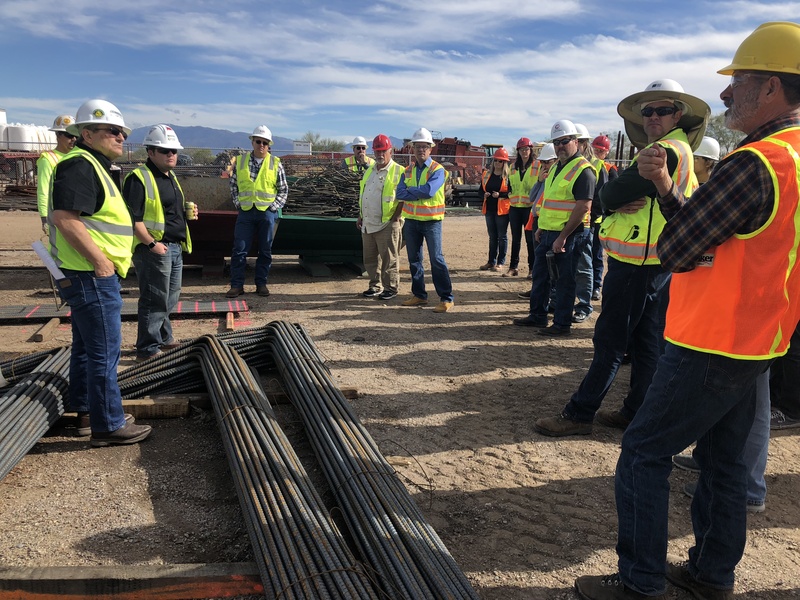 In addition to the tour, Harris Rebar gave a presentation on how we as engineers can work better with them to make our projects more time and cost efficient. 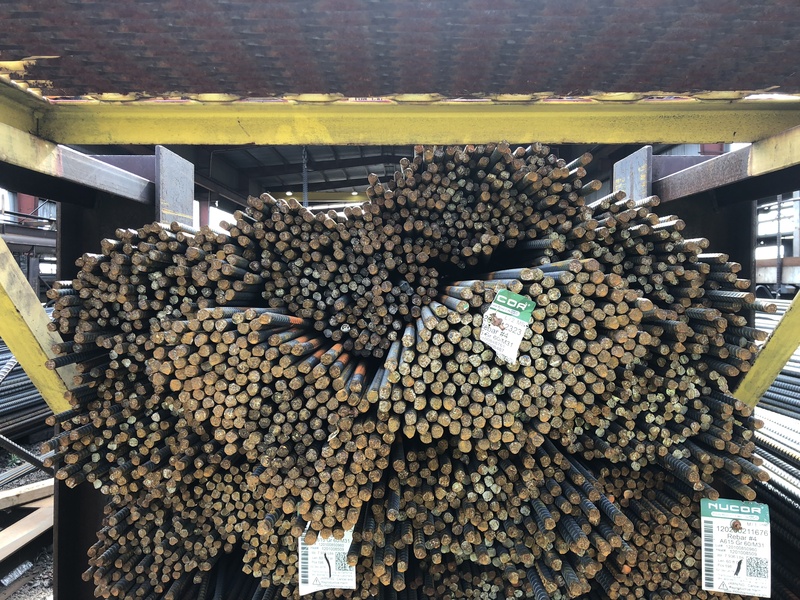 The tour was very informative and we appreciated the generosity of Harris Rebar as they provided lunch and shut down all operations for the tour. 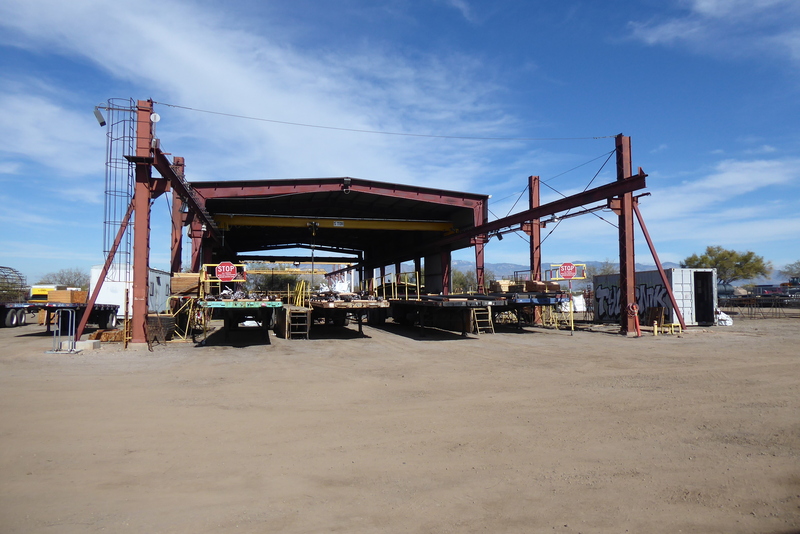 SEAoA is a professional organization intended to advance the practice of Structural Engineering for it’s members and inform the public of Structural Engineering. 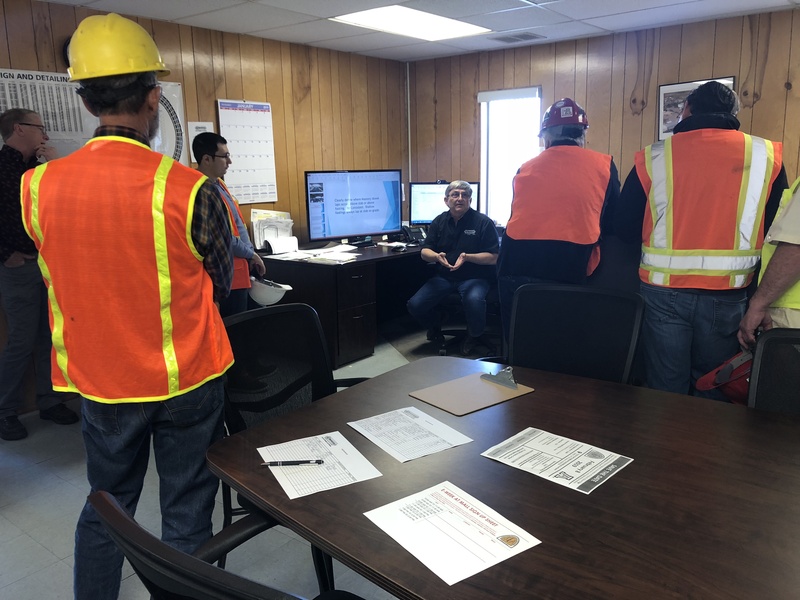 Many engineers at our company are actively involved in SEAoA and regularly attend monthly meetings as a source of networking and continuing education. Currently, Jessica Carson serves as the Tucson Chapter Treasurer, and Andy DiLeo serves as the State Board Secretary. Next year Andy will further his involvement as the State Board President. MWG has a long history with SEAoA as other team members have served on the boards in the past as well. To learn more about SEAoA, visit their website here.